How to create commitment for your contact center’s mission and goals. I think it’s safe to say that millennials are a force to be reckoned with. Often referred to as “Generation Disruption,” their influence on the modern workplace is hard to deny. In recent years, millennials’ expectations have been reshaping the workplace into more flexible, collaborative and transparent environments. These types of changes will only become more impactful as the number of millennial workers increases. According to the Brookings Institution, millennials will comprise one-half of the workforce by 2020 and 75% by 2025. Yet, many employers are still not prepared to meet their millennial workers’ demands. Businesses that adhere to hierarchical organizational structures, in particular, will find it increasingly difficult to hold onto their employees in the coming years. 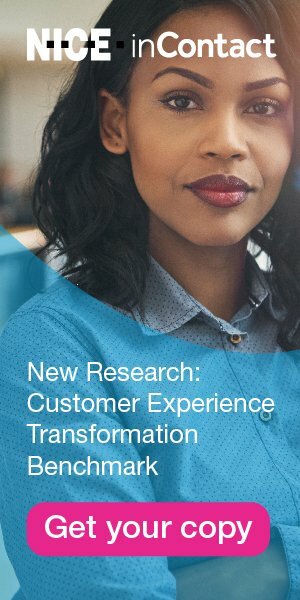 Simply offering perks like food and fun activities (longtime call center motivation methods) has been found to be ineffective at building loyalty and commitment. In fact, a recent ReportLinker study found that only 40% of millennials feel highly committed to their organizations (“Office Perks: Millennial Expectations Change What Employers Offer”). Admittedly, creative workplace perks are nice to have—after all, who wouldn’t like to relieve tension with a midday onsite massage or challenge a co-worker to a game of ping-pong while on break? But overall, millennials tend to gravitate to those companies that offer help with balancing their work and personal lives. Study participants said that, of all the perks offered to them, they’re more likely to use healthcare (54%), flexible working hours (41%), paid family sick leave (33%) and career development services (23%). Also, while just 11% said that their employers offered telecommuting, 22% ranked it as No. 1 among perks that they considered to be essential. Be innovative and creative (78%). Some centers have already recognized that the rules of engagement have changed, and have put in place practices that align with their staff’s expectations. Take, for instance, Valvoline’s strong focus on employee development and collaborative efforts to continuously improve the work environment. In an industry where a 30% turnover rate is typical, Valvoline’s support center boasts an impressive average agent tenure of 10-plus years. You can read more about their story in this month’s Inside View column (see page 16). Millennials’ expectations in the workplace have been shaped by numerous things in their upbringing—including helicopter parents, constant positive feedback and profound technological advances, among others. Calloway points to the No Child Left Behind Act of 2001, which held teachers accountable for ensuring that their students and schools passed standardized tests. As a result, teachers significantly increased the amount of feedback and engagement with students. “Now that those former students are in the workplace, they bring with them a certain expectation that is consistent with transformational leadership,” he adds. Conversation. The first step is to have a conversation with each agent to provide feedback about his or her performance improvement opportunities. It’s important to offer “personalized feedback and consideration—the same type of individual interaction that they grew up with,” he says. Calculation. During the calculation stage, look for ways to engage agents intellectually. Provide them with personalized goals that the individual can achieve and discuss how to work toward them (e.g., “Bob, I need you to improve your cSat rating by 5%. How should we approach this?”). Communication. Continuous communication is critical to ensure that agents are moving toward their goals. Provide ongoing feedback about their progress and work together to overcome any barriers that surface. If there is one thing that Alorica’s VP of Talent Acquisition Teri Morse believes is the “secret sauce” for attracting and retaining millennial employees, it’s having a welcoming, supportive company culture. She should know—millennials make up approximately 80% of the contact management solutions provider’s workforce. Once candidates are on board, how does Alorica foster loyalty and ongoing commitment? The following are just some of the practices at this millennial-friendly organization. Culture champions. Alorica’s leaders nurture the culture to ensure that it is engaging. Each of the company’s 150-plus locations has its own culture champion—individuals who oversee ongoing activities in the workplace to keep staff’s energy and motivation levels high. Dance contests and talent competitions are popular events at the Irvine location, Morse says. Also valuable for those starting out on their career journey is the company’s self-service training platform that allows employees to experience the different types of training available for various functions. “We’ve got different modules that people can access to help themselves move toward that next opportunity,” Morse says. Leaders get involved early with employees. As Morse described, Alorica’s leaders make a point of engaging not just new employees, but candidates who are at the interviewing stage. “Our leaders understand that early engagement fosters higher retention,” she says. In the contact center environment, supervisors and managers are not hidden away in their offices. They use tools and applications that allow them to monitor staff on mobile devices so that they can spend their time on the floor, always visible and engaging with employees. Giving Back to the community. Millennials prefer to work for employers that give back to society. Alorica inspires a sense of community pride through its MLBA program—Making Life Better at Alorica—which supports site-specific volunteer activities. Each location’s employees select charities they feel most strongly about, as well how to get involved. The millennial generation is no different. Early on, they were described as lazy, entitled, narcissistic job-hoppers. But they’re also known for being highly adaptable, innovative and tech savvy—all valuable attributes in today’s contact center. Editor’s note: For more on managing millennials, as well as a look at workplace expectations and attitudes by generation, see Mark Brody’s article “The Changing Landscape of Employee Engagement” on page 32. It’s Official: Millennials Have Taken Over… Are You Ready?